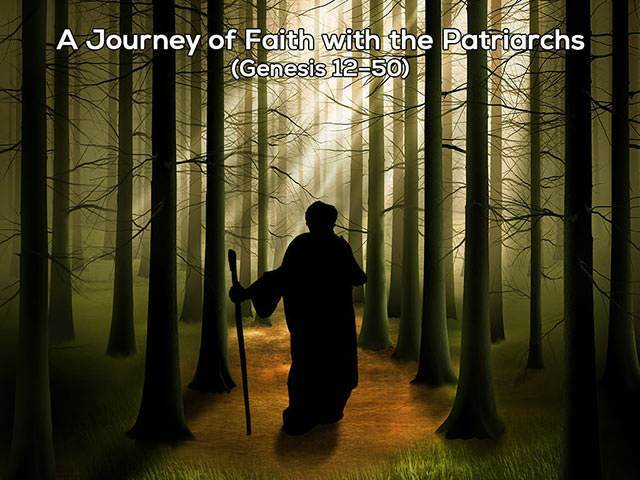 1. Who are the Genesis patriarchs? a) Adam, Abel, Enoch and Noah. b) Abraham, Isaac, Jacob and Joseph. c) Moses, David and Solomon. 2. What will studying these patriarchs help us to understand? a) The nature of faith and our walk with God. b) God's role in creation and redemption. c) The importance of miracles. 3. What problem do the first 11 chapters of Genesis especially raise? a) The problem of creation versus evolution. b) Reconciling the story of the flood with modern scientific studies. c) Man's greatest and most crucial core issue: sin. 4. What do we discover as we turn a biblical corner at Genesis chapter 12? a) We are introduced to the solution to the main issue raised in the earlier chapters. b) We learn the reason why God sent the great flood. c) We see the importance of Egypt in the biblical story. 5. Who was the beginning of God's solution to the sin problem? 6. The break between Genesis chapter 11 and 12 is very significant because it distinguishes between the history of the curse and the history of the blessing. 8. What is a powerful metaphor for humanity's condition at the end of the first 11 chapters of Genesis? a) The barrenness of Sarai (Sarah). b) The devastation of the flood. c) The scattering of humanity at the Tower of Babel. 9. George Muller said, "Faith begins where man's power ends." 10. God calls only those who are qualified.